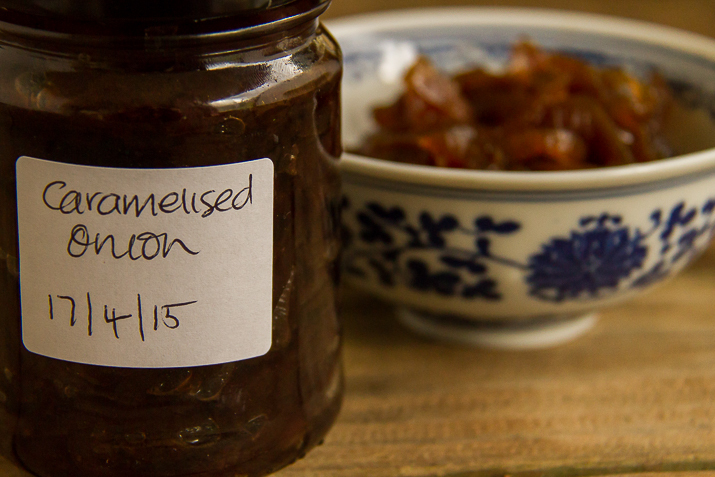 A few years back I bought a jar of caramelised onions from the farmers market in town. It proved to be popular with the whole family, so I had a go at making some myself. These days it is one of those recipes that I make every year. It takes a little bit of time, and you can expect to cry (a lot) but it is definitely worth the time and effort. We serve the caramelised onion on sandwiches, with roast meat, on hamburgers and wraps, and even on crackers with cheese. Family and friends who come to visit are always keen to take a jar home with them. Peel, halve, and slice the onions about 5-7mm thick - too thin will cause the onions to burn. I used a Japanese mandolin because it makes slicing so much faster (and thus less teary), but be careful not to slice your fingers off! In a large saucepan, heat the oil on a medium heat. Add the onions and stir regularly for 15 minutes until they are soft and beginning to collapse. Reduce the heat to low, and with the lid off, add the bay leaves and cook until the onions start to go golden coloured. Stir occasionally. This could take a while. Add in the brown sugar and balsamic vinegar. Stir until well combined and the sugar dissolves. Place the lid on and continue to cook on a low heat for 15 minutes before removing the lid again. This allows the vinegar to be taken up by the onion rather than evaporating immediately. Continue to cook until the onions are a rich, dark brown colour. Remove the bay leaves. While still hot, spoon into sterilised jars and seal well. For the best taste, let the onions sit in the jar a couple of weeks to mellow before you serve. Are you a fan of caramelised onions? Have you made your own before? I have taken to doing our onions in the slow cooker put everything in and let it go for 6hours on slow. Taste amazing!!!!!! I love caramelised onions and eat them on anything and everything too! Thank you for linking up with us for Fabulous Foodie Fridays. 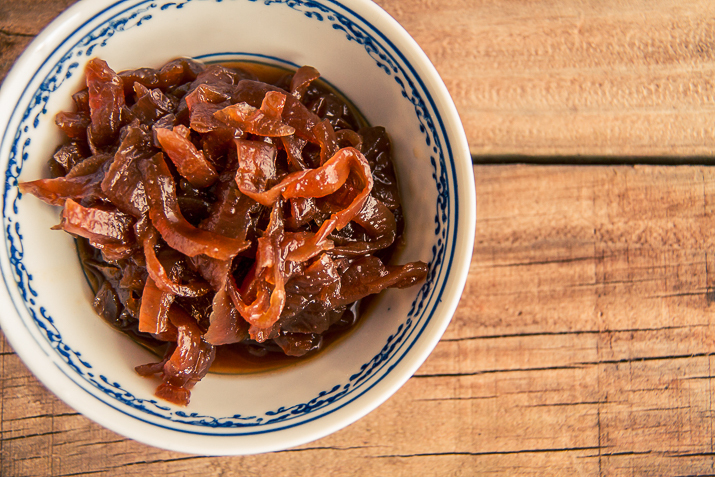 We quite often eat caramelized onions or a marmelade made like your caramelised onions but with more vinegar. We use it with cold meat, vegetables or cheese. 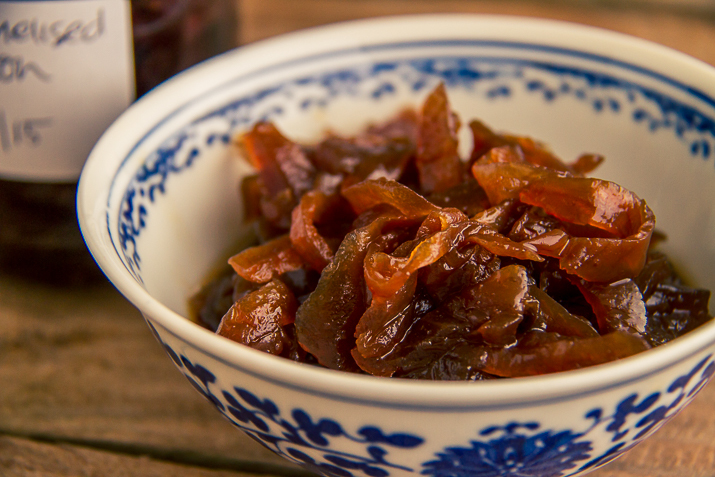 In France sweet and sour caramelised onions are not often used, except in North of France. I often give some pots for Xmas or when we are invited in the evenings. I make a savoury onion jam that I sell at farmers markets around Southern Tassie – have managed a few prized at the Hobart & Huon show from it. I use a brown onions in it with a range of herbs & spice for addional flavours. Never thought of actually bottling them. Your recipe is what would do in just cooking. Hardly worth it for me as I am basically by myself now. My days of huge numbers of bottles and lots of fruit, chutneys etc are over. If I make chutney, I make only a small amount.